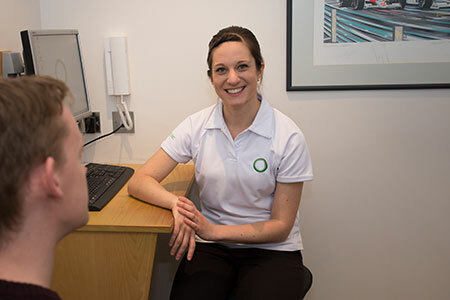 Here at the Openhealth Clinic, we are a close-knit team and work together to ensure that we offer the best physiotherapy, osteopathy, sports massage and acupuncture treatments in and around Ascot – Today we have an interview with Sian Trayling who is one of the Osteopaths at Openhealth. If you have any questions for Sian or want to know more about any of the treatments that we offer then please get in touch with a member of the team today! My name is Sian and I started my Masters studies at the British School Osteopathy in London in 2008. I chose to study Osteopathy after receiving treatment myself after a dance injury in my late teens, I had seen a number of different therapists and was most impressed by the outcomes achieved by seeing an Osteopath. Getting to know my patients to ensure we the true cause of the complaint is found, I consider myself a ‘body detective’ in getting to the root cause and seeing the benefits this can bring to people. Remain open-minded, sometimes to get to the root of the problem we need to not only treat the affected area but also the areas related to it. Having a job that can help people in achieving their goals gives me no end of satisfaction. Walking into work and being greeted by colleagues who give you a smile, being able to work alongside a multitude of positive thinking, like-minded therapists provides the best work outcome for our patients. I love to cycle and travel and my favourite past time is when these two things culminate in exploring new horizons on my bike.